Well, that was a wake-up call. Arriving in Rome looking like we could take on the world, and leaving Italy looking like we couldn’t even beat Fulham. 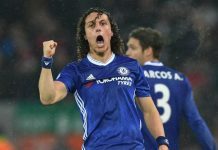 Facing a Chelsea side which never really got going, Roma punished the Blues and inspired John Terry to an anger-filled rant at his complacent team-mates, and the resilient captain will expect massive improvement across the board this Sunday. If all goes to plan, Blackburn will be the victims of a Blues backlash as Luis Felipe Scolari takes his side to Ewood Park for an early afternoon kick-off. There could be some casualties from that night in Rome, with almost every player in the starting XI seeming to suffer from some kind of amnesia, leading to a complete mind freeze in the section of the brain marked ‘how to play football.’ Alex looked shaky, while Florent Malouda looked, well, like Florent Malouda. Joe Cole and Didier Drogba both got 45 minutes in their comebacks from injury, while Deco did his best to frustrate…us though, not the opposition. The Portuguese schemer will be available for this match – his suspension following that nonsensical red card only applies to the Champions League – but whether he is picked is a different matter entirely. The game comes too soon for Michael Essien, Ricardo Carvalho and Ashley Cole, although there may be a place on the subs’ bench for Michael Ballack, who is set to return from a couple of weeks on the sidelines. Blackburn boss Paul Ince does have a few problems to contend with for Sunday’s game, not least the suspension of striker Benni McCarthy, who was dismissed for two silly yellow cards against West Brom last weekend. Fellow striker Roque Santa Cruz is touch-and-go for an appearance in the Rovers line-up, as he recovers from a hamstring injury. Brett Emerton and Andre Ooijer are definitely out with slight injuries, while long-term victims David Dunn and Steven Reid are out of contention. Ince’s side have had a fairly inconsistent season so far and as a result, they sit in the lower half of the table in 13th place. Having only won one game at home in the league (a Matt Derbyshire goal handed them a 1-0 win over Fulham in September), and indeed only bagged three goals at Ewood Park, the omens do not look promising for Blackburn on Sunday. Even Arsenal, who have struggled against Blackburn’s physical approach in past seasons, managed a 4-0 win in Lancashire a couple of months ago. Chelsea’s perfect record away from home meanwhile (featuring 14 goals scored and just one conceded) only adds to the expectations. A decent recent record also shows Chelsea in a good light, with eight wins in the last ten games (including four in last campaign). In December of 2007, the Blues avenged a dull 0-0 home draw at the start of the season at Stamford Bridge by edging out Rovers at Ewood Park with a Joe Cole goal separating the two sides. The last time we lost at Blackburn was not that long ago, in May 2006, however the Premier League was secured by then and a 1-0 defeat was bearable. Memorable recent encounters at Ewood Park have included a battling 1-0 win back in 2005, with Arjen Robben’s early goal sending Chelsea closer to the title, and an incredible 4-3 last-gasp win in September 1998, Tore André Flo the hero this time with two goals in the last eight minutes turning an already thrilling game on it’s head. The defeat against Roma really should shake some cobwebs from the squad and a trip to Blackburn on what is likely to be a freezing Sunday afternoon (it’s up North, it’s bound to be cold) will be a real test of character after a mid-week blip. 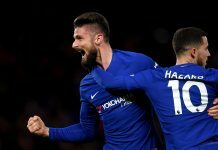 The games are starting to come thick and fast, and if Chelsea are to survive the winter run, matches like this need to be executed with almost military precision. Get in, do the job, and get out! Rather fitting, as Ewood Park has proved to be a battle ground for us in the past, and this time around should be no different. Prediction: It won’t be pretty, and it certainly won’t be a 4-3 thriller! I’m going for the old favourite, a tight 1-0 win and back to winning ways.